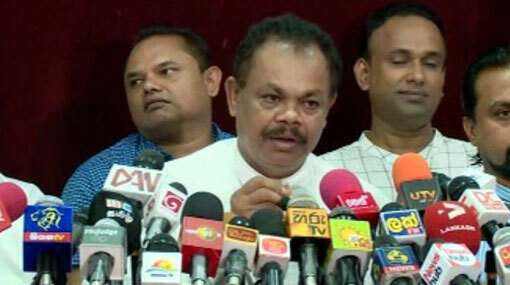 UNP Parliamentarian Ananda Aluthgamage says that over 20 MPs of the United National Party are ready to support the new Prime Minister Mahinda Rajapaksa. The Kandy District MP made this claim while addressing the Joint Opposition press briefing in Colombo today (27). Aluthgamage defected from the UNP yesterday and pledged his support to Mahinda Rajapaksa after the latter was sworn in as Prime Minister. Speaking at the media briefing today, he alleged that 21 UNP MPs will raise their hands to pledge support Prime Minister Mahinda Rajapaksa at the next sitting of Parliament. Aluthgamage said that he was personally told by the PM not to reveal the names of the MPs as their safety cannot be guaranteed yet.